Despite comparatively low numbers seen earlier in the year the nettle tents containing the caterpillars seem to be quite common now. 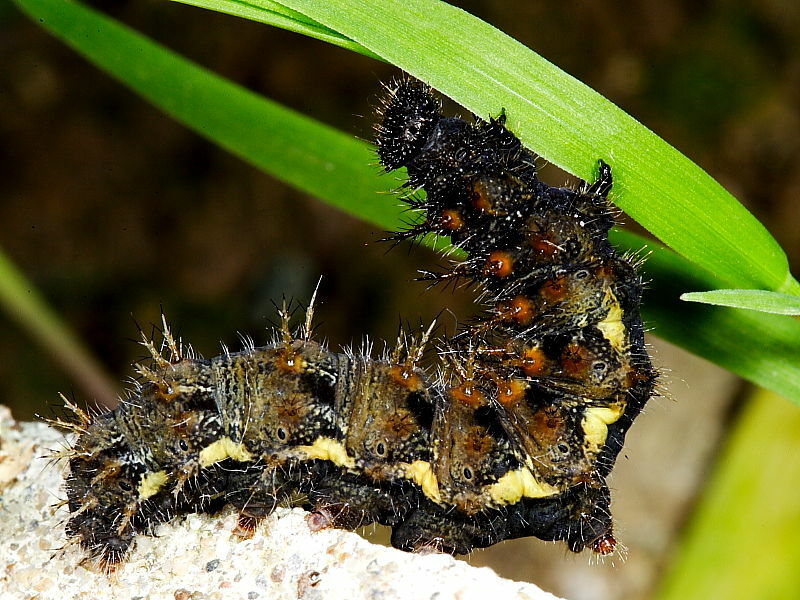 The Red Admiral Caterpillars are seldom seen as they spend most of the time inside a nettle tent that they cleverly stitch together with silk. The speed that they can construct a new tent would put a few of our house builders to shame! The egg was laid on the 12th July and the caterpillar pupated on the 4th August. 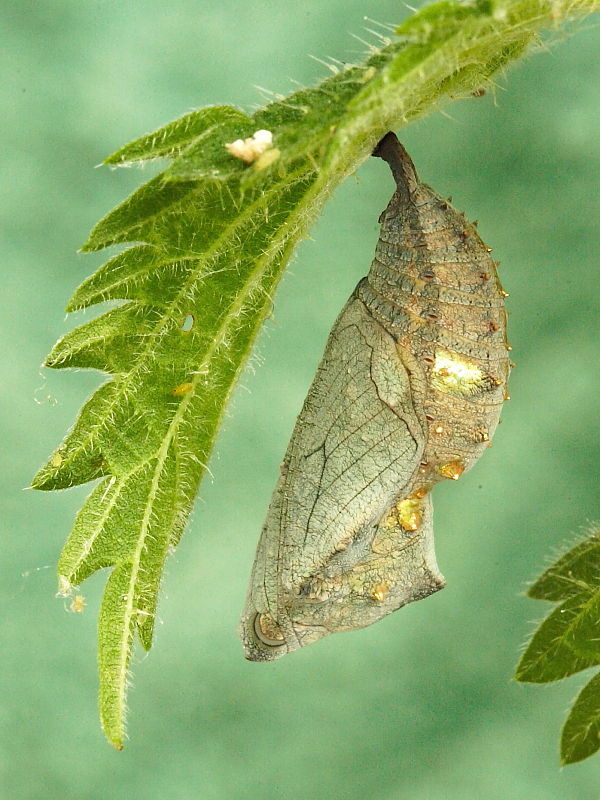 The pupa has been exposed by removing its protective leaf surround for the benefit of the photo. 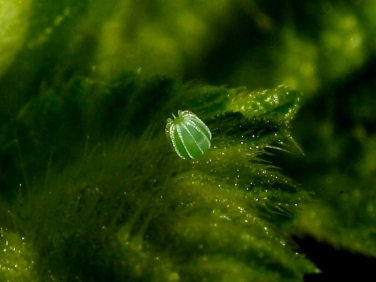 Exposing the pupa will not impact on the butterflies survival as it is inside a protective rearing cage where birds and parasites cannot reach it. The butterfly is expected to emerge any day now and will then be released into the garden.